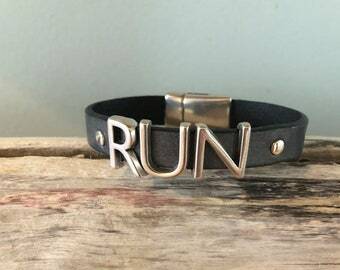 What keeps you going on your long weekend run? If you're like me, it's a doughnut!! 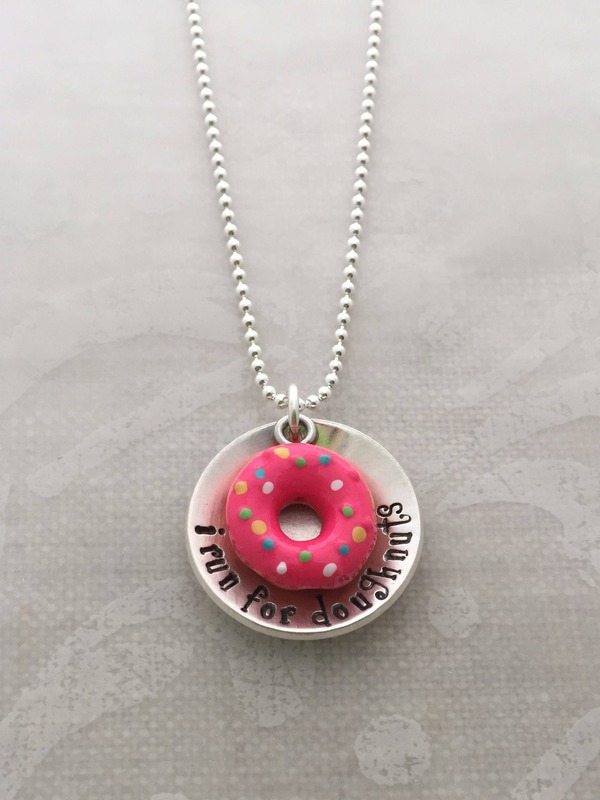 This fun necklace is a 7/8" sterling silver cupped disc stamped with "i run for doughnuts" with an acrylic pink doughnut charm hanging in the center. 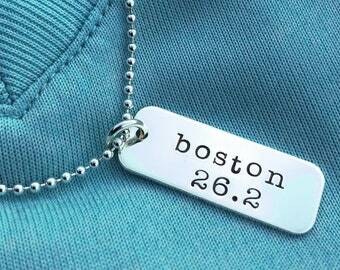 Choose from 16", 18" or 20" cable chain lengths.